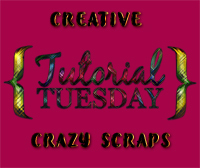 “Magic Happens” is a tagger size scrap kit created by me, Bev of HorsePlay’s Pasture Designs and can be purchased from Digital Art Heaven here. You can visit my designing blog here. Snaggables of this tag can be downloaded here. Leaving some love would be appreciated - enjoy! Delete the top 5 layers. Copy and paste Paper 19 Into Selection. Duplicate the layer and change the Properties to Multiply. Apply the same Crosshatch effect. 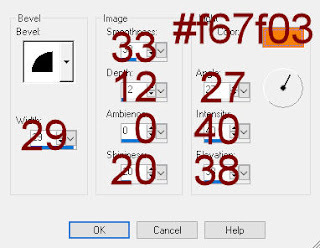 Copy and paste Element 64 as a new layer. Duplicate 2 times for a total of 3 elements. Move them into position over Raster 4 template layer. Duplicate all 3 elements and move them into position over Raster 5 template layer. Deselect template layers 4 & 5. Copy and paste Paper 17 as a new layer. Move into position so that only the black sky is over the selected area. In your layers pallet right click on the paper. Choose “Promote Section to layer” from the sub menu. To each paper layer apply the brush strokes effect. Copy and paste Element 4 as a new layer. Move each from over Raster templates 7 and 8. Make your Selection Tool active set on Point to Point. Section around the frame keeping the dotted line pretty much in the middle of the bones. Using your Selection tool, section around this frame just as you did the bottom frame. Paste Paper 17 as a new layer below the frame. Move the paper so just the black sky is below the frame. Promote this section to Layer. Copy and paste Element 30 as a new layer just below the frame. Resize 40% and move into position – see my tag for reference. Use your Selection Tool set on Rectangle and section off the right 3 frogs. Paste as a new layer on your working canvas along the top frame and resize 35%. Use your Eraser Tool to erase the stone if you happened to copy that, too. Copy the left 3 frogs of the tube. Paste as a new layer on your working canvas along the bottom frame and resize 35%. Again, if you copied the stones as well, use your Eraser Tool and erase them. Make your Selection Tool active set on Freehand. Control + H – Feather Selection Box will open. New Raster layer just above the white background layer. Duplicate and change the Properties to Multiply. Copy and paste Paper 20 Into Selection. New Raster layer above the merged mask layer. Change the Properties of this mask layer to Hard Light. Lower the Opacity to 85. Copy and paste as a new layer el 12. 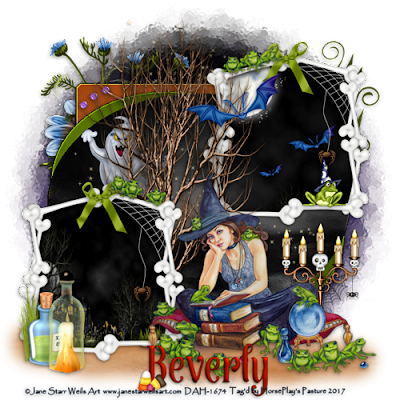 Resize as you want and use to decorate your name.